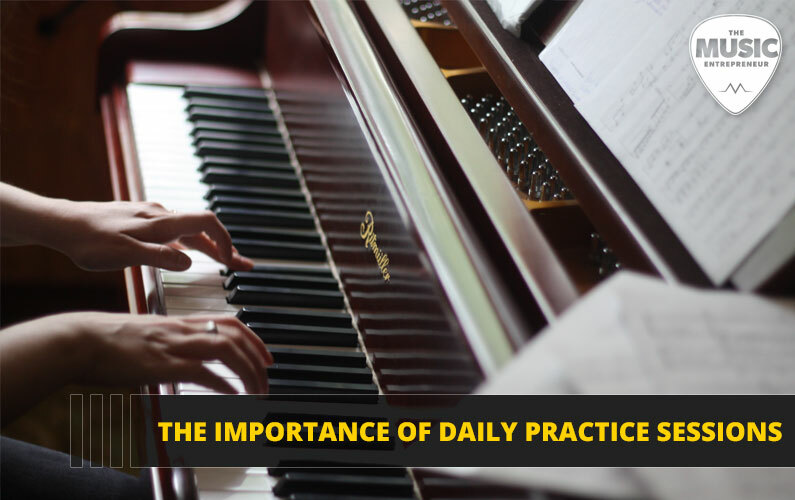 Convincing yourself to practice your musical instrument daily can prove to be very difficult. Not only are there a lot of other things competing for your time, but some days you might simply “not feel like it”. It is a mistake to think that the practice of my art has become easy to me. Why is it easy to acknowledge the importance of practicing your instrument, but not easy at all to implement it? As humans we are always seeking instant gratification. When starting out on a new diet, we want to see results immediately. The same applies to music. We want to be able to master an instrument without having to work tediously at it. In reality, you need to practice as much as possible, and stay consistent with your practices. By being consistent, your brain will be forced to become accustomed to the practicing and you will build up momentum steadily. A few very basic guidelines are all that is needed to fine-tune your practice session so that you can reap the rewards in a timely fashion. It is important that your practice space is well-organized and clutter-free. Creating the correct ambience will go a long way towards making you want to practice as opposed to it feeling like a chore. You also need to have a high-quality instrument so that you’ll stay motivated as you practice. If you don’t own one, you can check for a guitar, violin or viola for sale, whichever you prefer. Your brain will process your entire practice sessions differently if they are conducted in a neat and clean environment. You will automatically feel empowered and energized to tackle the task at hand with a zest that simply would not have been present if your space was dirty and untidy. If you are a guitarist, you are going to want to kit out your space with a couple of necessities like a music stand, a comfortable chair, and enough storage space for all your equipment. If you are going to use an amplifier or looping pedal, you need to ensure you have an electric outlet close by. Set goals for yourself. It will make practicing a lot easier if you know why you are doing it. Your goals can range from simply playing for a period of time to maintain your technique, or to complete the song you started on months ago. Try to add variety to your practice sessions, practicing certain techniques on certain days and leaving others open to interpretation. Practicing with a friend will not only help you but will inspire you as well. You don’t have to limit yourself to practicing with a friend that plays the same instrument as you. Find someone whose company you enjoy and turn an ordinary session into a mini band practice. Take regular breaks whether you think you need it or not. It is very easy to lose track of time and play for hours without realizing it. Taking breaks will enable you to make more progress as your brain will be able to retain more information. Don’t spend more than an hour on any one thing, especially if it is something new or particularly challenging. Human brains can only process so much new information at a time and requires a period of recovery before it can process anything new. Practice might not guarantee perfection each and every time you play but it will equip you with the skills required to see you forging the musical career of your dreams. As much as other factors also come into play, practicing your art will always remain one of the main determining factors of your success or subsequent failure as a musician.